Mandating or recommending the adoption of Individual Learning Plans (ILPs) continues to be an important college and career readiness strategy of states across the country. And while schools may support the idea in theory, many are scrambling to meet the requirements. Paper-based plans are limited in functionality, difficult to update, and cumbersome for communicating with parents. These challenges, along with lack of access to quality college and career planning tools and materials, often prevent schools from successfully implementing a meaningful ILP program. Located just outside of Denver, Jefferson County Public Schools (Jeffco) is one of the largest public school district in Colorado with more than 85,000 students at 19 high schools, 36 middle schools, and 94 elementary schools. 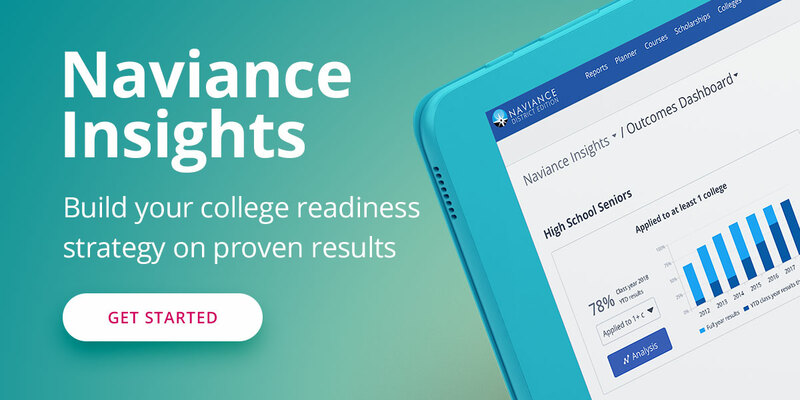 When Colorado enacted a requirement in 2009 that required all students in grades 9-12 to create and manage an Individual Career & Academic Plan (ICAP), Jeffco turned to Naviance – a one-stop solution that brings all the pieces of an effective college and career readiness program together.